A coroner's mistake raises questions about Canada's forensic standards. 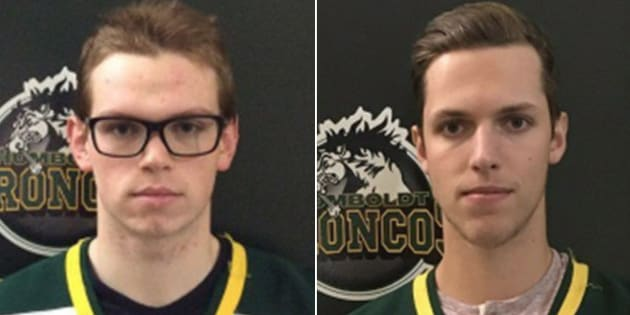 Humboldt Broncos player Parker Tobin (left) was killed after the bus he was travelling on with his team crashed with a semi-trailer. Xavier Labelle, initially thought to have died in the crash, actually survived. OTTAWA — It's a case of mistaken identity in the most tragic of circumstances. And a retired RCMP forensics expert says the mix-up between two Humboldt Broncos players, one dead and one living, was preventable. The error was discovered Sunday evening as thousands gathered in the Prairie town's arena for a vigil to mourn the 15 victims of a crash between the team's bus and a semi-trailer near Tisdale, Sask. According to officials after the Friday crash, Xavier Labelle was found dead. His brother wrote a eulogy on Instagram, describing the special bond between them. Parker Tobin's parents, meanwhile, were at a bedside at Saskatoon's Royal University Hospital, watching over who they thought was their badly injured son. But Tobin did not actually survive the crash. It was Labelle in the hospital bed, injured but alive. "The Office of the Chief Coroner apologizes for the misidentification and any confusion created by it," read a statement from the Saskatchewan government. "Sometimes we fall victim to the desire to help the families quickly, at risk of making a mistake such as this," former RCMP inspector Tony McCulloch explained. There's a lot of pressure on emergency workers to get the job done, he said in an interview with HuffPost Canada. In the aftermath of the mix-up, McCulloch is raising concerns that officials should not rely on facial recognition to identify the deceased. McCulloch spent nearly 39 years with the force, 26 devoted to forensic investigation. Near the end of his career, he helped handle the disaster victim identification (DVI) portfolio. His experience includes helping to identify the bodies of the 298 Malaysian Airlines passengers and crew killed when the plane crashed in eastern Ukraine in 2015. Dutch and Malaysian investigators and local authorities work on April 16, 2015 at the MH17 plane crash site near the village of Grabove in the self-proclaimed Donetsk People's Republic. The plane was shot down over war-torn eastern Ukraine. DVI practices were followed in that international operation. That means fingerprints, DNA and dental records were used to confirm a victim's identity. It's a process that's 100 per cent accurate, albeit time-consuming. Facial recognition, especially in cases of serious injury or death, is unreliable and can present significant risk to the families and the reputations of the agencies involved, McCulloch said. That's the procedure that was relied on for identification, following the Humboldt Broncos crash. "RCMP National Forensic Identification have been harping for years not to rely on facial identification just for this reason," said McCulloch. Canada currently lacks a national framework to guide provincial and territorial medical examiners and coroners. It's up to regional jurisdictions to decide on their own policies, responsibilities, and priorities. "It's a very fine balancing act, and I wouldn't presume to say that there was anything wrong done in Saskatchewan," said McCulloch. Flowers lie on the ice as people gather for a vigil at the Elgar Petersen Arena, home of the Humboldt Broncos on April 8, 2018. Photos of people involved in a fatal bus crash are seen before a vigil at the Elgar Petersen Arena, home of the Humboldt Broncos, in Humboldt, Sask. on April 8, 2018. A man is comforted as he looks at photographs before a vigil at the Elgar Petersen Arena, home of the Humboldt Broncos, to honour the victims of a fatal bus accident in Humboldt, Sask. on April 8, 2018. Labelle's family was involved in the process of identifying who they thought was their deceased son, Drew Wilby of Saskatchewan's justice ministry told reporters in Regina on Monday. He said the identification process was challenging, because the players involved all had similar hair (dyed blond in spirit of the playoffs), and were of similar ages and athletic builds. The junior A players were from all over the Prairies and B.C. so collecting dental records would have taken some time, Wilby said. In retrospect, referencing dental histories would have been more accurate, he added. "So we'll look at that going forward, in terms of identification, but you know, the important thing is to get information into the families hands," he said. According to McCulloch, medical examiners and coroners offices face the same daily challenges — staffing and resource shortages, lack of training opportunities and policy updates — across the country and internationally. And mistakes do happen. "It's not until these types of events happen that it sort of raises the issue again that they have to take notice of this and bring it to priority as opposed to shelving it for some other day," he said. The mix-up between a survivor and victim of the Humboldt Broncos crash is a tragic and frustrating reminder of how Canada is an international laggard when it comes to adopting a national framework for forensic identification best practices, said McCulloch. It was McCulloch's job at the RCMP to establish DVI standards and protocols. 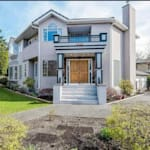 The retired Mountie said he spent years trying to get those same standards and protocols adopted by regional jurisdictions, but there was no unanimous pick-up. "It continues to fall on deaf ears," he said. The RCMP did not respond to HuffPost Canada's request for comment. A man pays his respects at a make shift memorial at the intersection of a fatal bus crash near Tisdale, Sask. on April, 9, 2018. Great Britain has a "tremendous" national program, McCulloch said. Germany, too. They also happen to be countries with geographic advantages. "They're smaller in size and have a greater opportunity to promote national programs, where Canada is so diverse and so large and we have competing interests in provincial and municipal authorities," McCulloch said. But Canada's size isn't a convenient excuse to delay the adoption of national forensic standards to avoid preventable mix-ups from happening again. "It's just a monumental challenge for us to promote and get the idea out there that there is a better way of doing it."